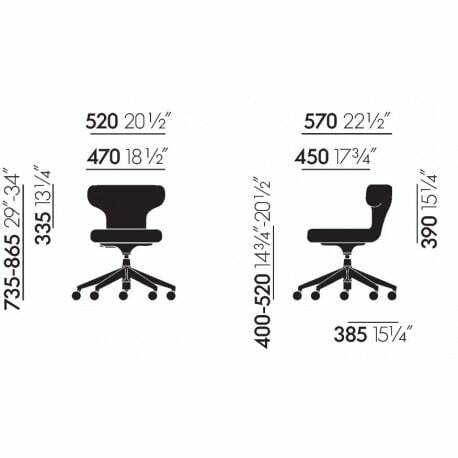 The Pivot office chair by Antonio Citterio is roughly 30 cm taller than a standard office chair. It thus facilitates healthy and spontaneous alternation between standing and sitting postures: instead of the desk being raised or lowered, users work at a standing-height table and can either sit on Pivot or stand up, as they prefer. 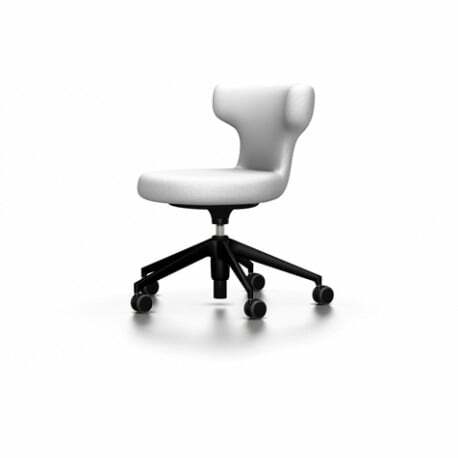 The rounded, forward-curving backrest of Pivot ensures great freedom of movement: the chair can also be used in a sideways position or as a stable support upon which to lean. Thanks to the SingleKnit cover fabric, Pivot does not have any irritating seams. In combination with the pleasant padding, this makes the chair very comfortable. The square-patterned texture provides a secure non-slip surface. 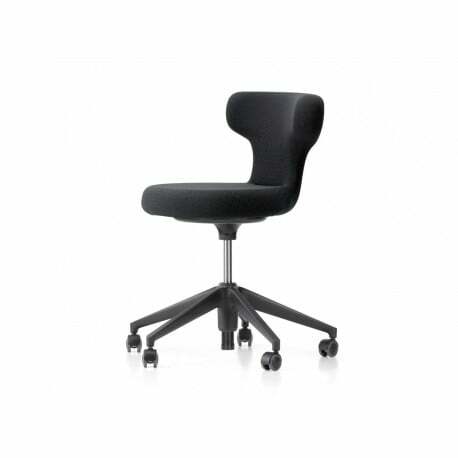 A height-adjustable foot ring allows both taller and shorter users to find a comfortable sitting position, while reverse-braked castors prevent the chair from rolling away when pressure is applied. 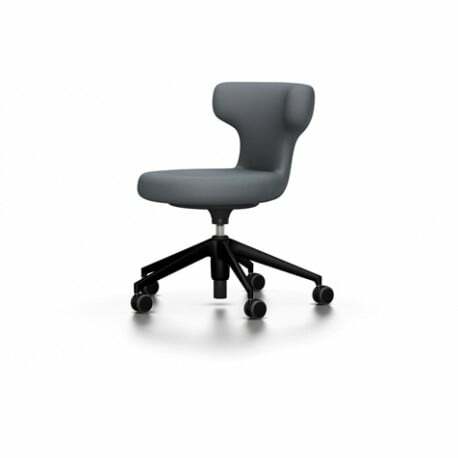 In addition to the Pivot High Stool, the tall model for working at stand-up desks, Pivot is available as a tall visitor chair in the version Pivot Counter Stool with a four-star base on glides, and also as a standard-height swivel chair in the studio version Pivot Stool.